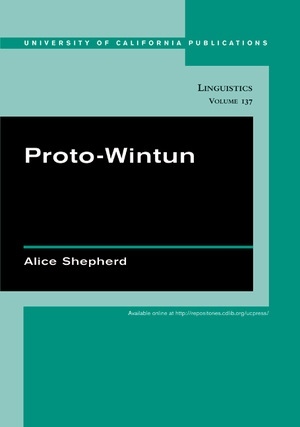 This volume represents a reconstruction of Proto-Wintun, the parent language of a group of California Indian languages. 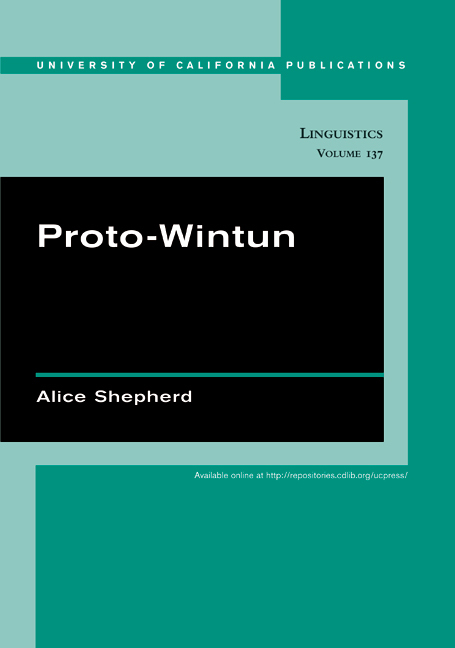 It includes a grammatical sketch of Proto-Wintun, cognate sets with reconstructions and an index to the reconstructions. The book fulfills a need for in-depth reconstructions of proto-languages for California Indian language families, both for theoretical purposes and deeper comparison with other proto- or pre-languages. Alice Shepherd is an independent scholar working in California.